NAMRIA, in support of the Department of Environment and Natural Resources, hosted a meeting of DENR Youth Desk Officers (YDOs)/Youth Coordinators. 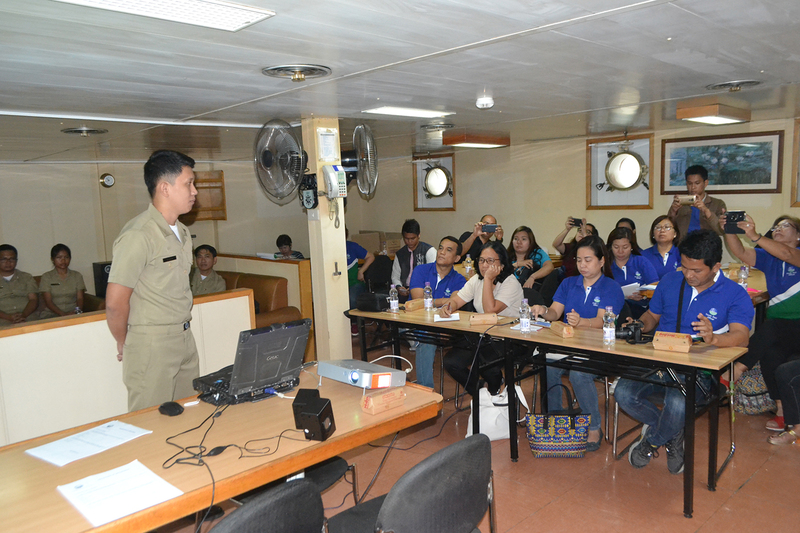 It was held on board the NAMRIA survey vessel Barko ng Republika ng Pilipinas (BRP) HYDROGRAPHER VENTURA in Subic Bay, Olongapo City on 27 February 2018. 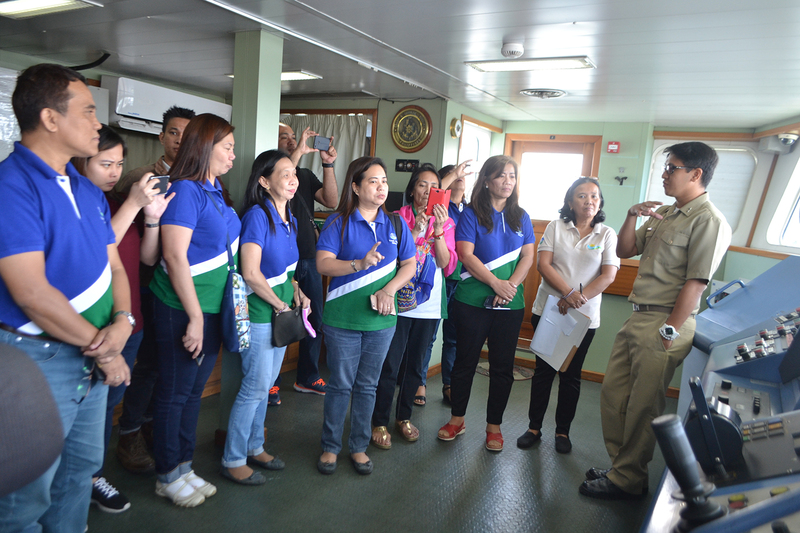 A tour of the survey vessel was also conducted for the YDOs, for them to gain knowledge and information on the hydrographic and oceanographic functions of the agency. The YDOs who serve as coordinators are designated focal persons from the DENR central office, bureaus, and attached agencies assigned to handle the DENR Youth Program. 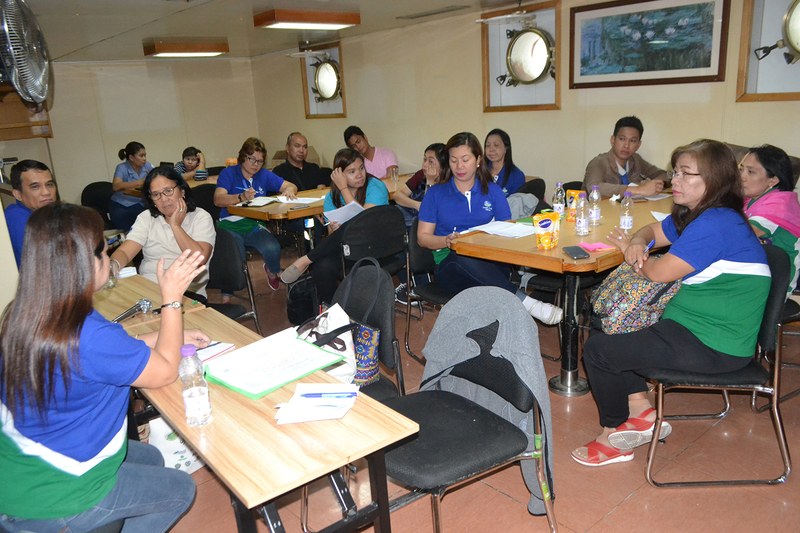 They conduct regular meetings and participate in learning engagements to be equipped in promoting the DENR’s programs through environmental education activities in various schools nationwide. LCdr. 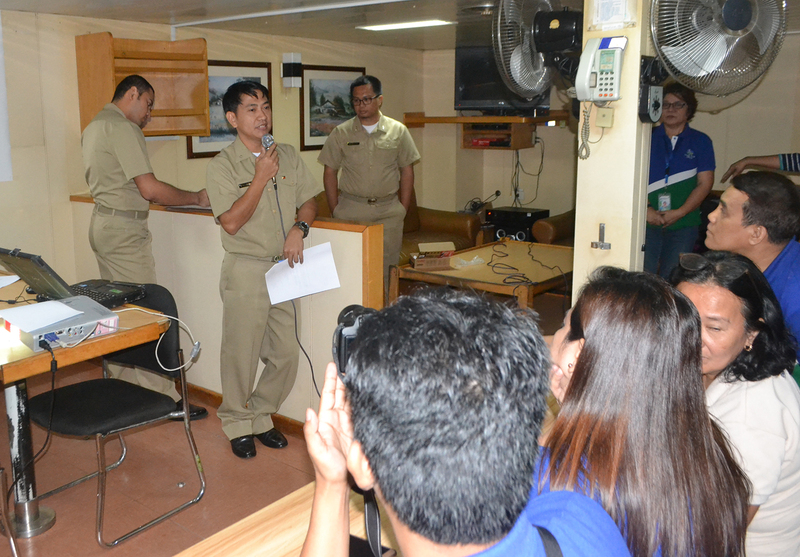 Teodoro D. Pasahol, Commanding Officer of BRPH VENTURA, welcomes the YDOs on board the survey vessel. Ens. Dionisio C. Gato Jr. presents the mandate and function of the survey vessel and its capability in surveying the country’s water territory. Ltjg. Lew Anthony A. Quincena explains the different equipment at the ship’s bridge. Ltsg. 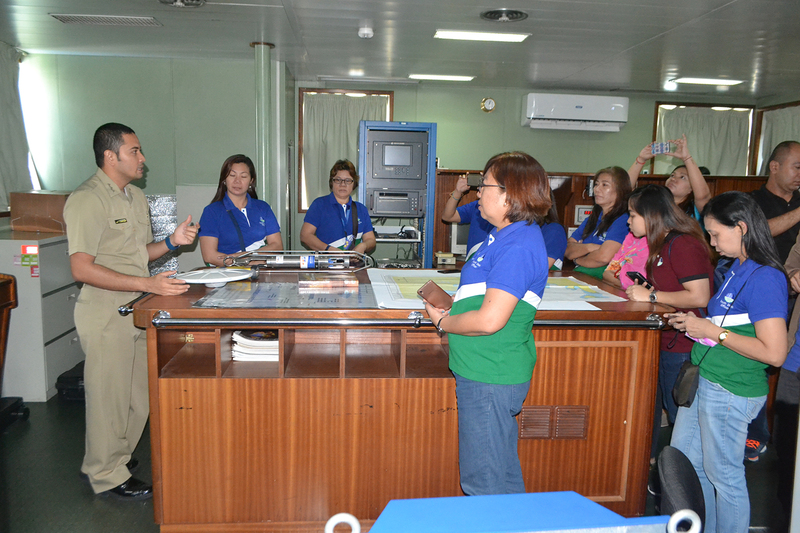 Maylord M. De Chavez explains the activities being done at the hydrographic work area during survey. Ltsg. 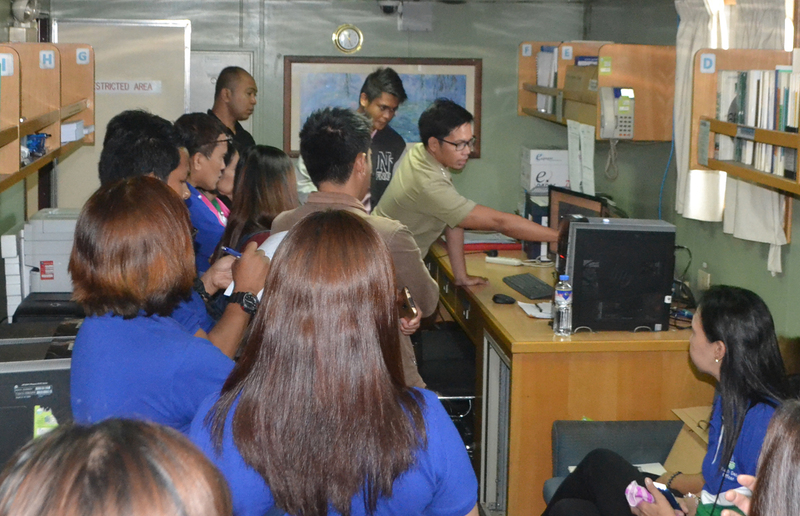 Danilo A. Arguelles Jr. shows the post-processing capabilities of the survey vessel. Ms. Maria Magnolia Q. Danganan presides over the YDO meeting at the Mess Hall, BRPH VENTURA.